This splendid banded slate biconcave gorget measures 3 7/8 inches in length.It	is identified as late Adena culture approximately 2000 BP. 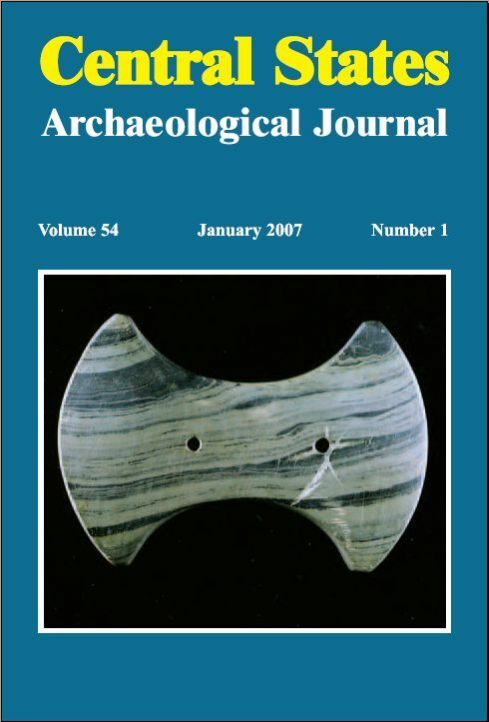 This artifact is one of the most highly developed gorgets of this type and is perforated conically from the reverse side, with slight reaming of the holes where they exit.The right perforation shows disc scratches. Found in Randolph County, Indiana, this Adena gorget was originally collected by Dr. Rollin Bunch of	Muncie, Indiana. Later it entered the Charles C.Smith collection of Modoc, Indiana. From	there it entered the John Berner collection, Lynn Brooks and Jan Sorgenfrei collections.